In San Francisco, there is an extra level of expectation because the city is known for its quirkiness, creativity, and the many different lifestyles that call this place home. The coolest bars in San Francisco are the ones that stand out far above the basic watering hole. 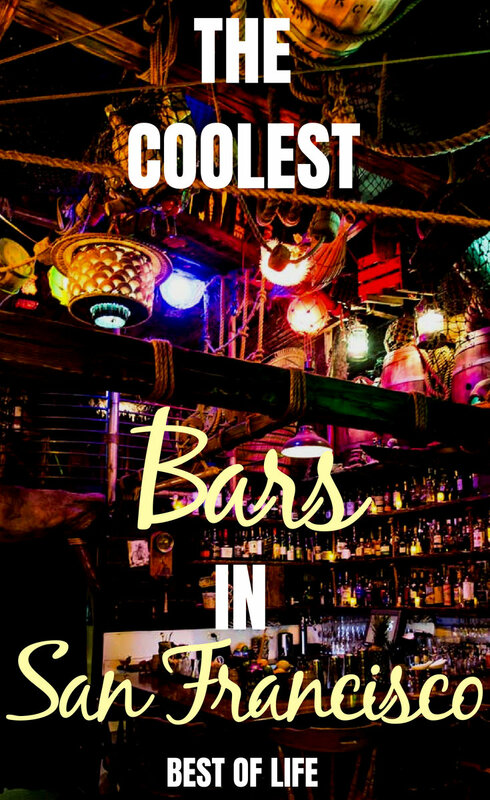 A bar is a business just like any other business, and they mainly use theming to differentiate themselves from other bars in the city. 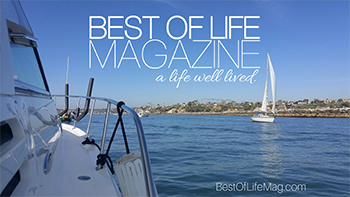 San Francisco is full of things to do! 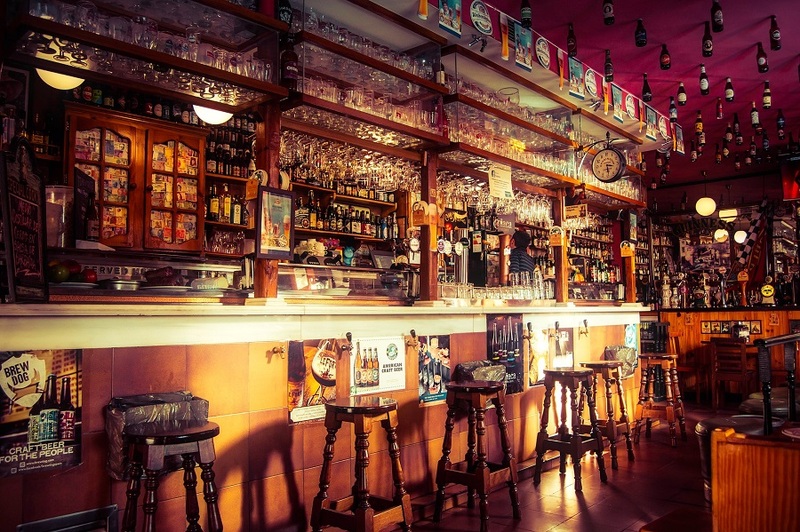 While visiting, be sure to check out the coolest bars in San Francisco. Spending a night drinking in San Francisco can really hurt the wallet, especially if you aren’t prepared for it. Like in other cities, San Francisco is pricier than the suburbs that can be found on the other side of any of the bridges. 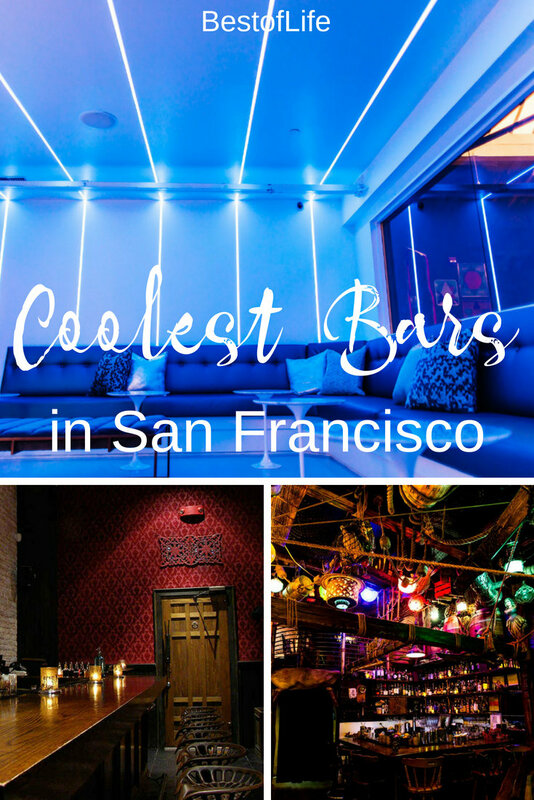 This is why it’s important to find the coolest bars in San Francisco. If you’re going to spend big bucks on a drink that you could get in another town (or, let’s be honest, in your own home), you’ll want something that makes it feel like more than just a drink. Whether you think you’re drinking in a newsroom from the past, or enjoying your beverage while hiding from the cops in a speakeasy, it all seems worth it. Welcome to Novela, the bar that really speaks to my Disney side. No, this bar is not themed to Disney at all but drinking in a library reminds me of Beauty and the Beast; no matter how far a stretch that is. The walls are lined with colorfully-lit bookshelves filled with books. When you walk in, head straight to the left side of the bar where you’ll find lounge seating. While space is limited, you may get lucky and find an open seat or two. Another interesting aspect to this bar is that the books aren’t the only literary displays; even the drinks have names pulled straight out of the novels you know and love. You will probably never feel cooler than when you hit a buzzer on a random wall with no signage except for a light bulb that lights your way. Once you hit the buzzer, you will be asked for a password. Give the right password and you’re in! You’ve made it to Bourbon & Branch, a 1920’s style speakeasy from start to finish (perfect excuse to rock some 1920’s fashion). To keep the theme going after you enter, there are a few house rules (e.g., no cell phone use inside, no photography, and if you must take a smoke break, use the secret back door). Seriously, the coolest bars in San Francisco are the ones that require a password only you know to get in. Get ready to feel even cooler than you did before. Remember that password you used to get into Bourbon & Branch? Well, forget it. There is another password you’ll need to remember, which is the key to entering the hidden detective agency inside Bourbon & Branch. Wilson & Wilson is a hidden bar within a hidden bar that is themed after a detective agency from the same era. The cocktails keep the theme going with names like “Truth Serum” and the “Charlie Chan”. Have you seen the movie, Tron? It’s about a boy who enters an arcade and finds a secret entrance into a digital world. Want to get into that digital world? Coin-Op is a video-game-themed bar with arcade games of different kinds that you can play all night long. However, there is a secret at Coin-Op: the entrance to The Grid. First, you’ll need reservations. Then, head up the stairs, make a left and head towards the bathrooms. Here, you’ll find an arcade game against a wall, and a hostess who will guide you into The Grid. Once she has verified your reservations, she will open the arcade game and you step into an amazingly lit space complete with lounge seating and awesome music. The coolest bars in San Francisco will transport you to another world and The Grid does it very well. There is no secret to getting in Smuggler’s Cove but I do advise you to arrive early. Things can get pretty cramped in the small room aboard the pirate ship that is Smuggler’s Cove. Here, theming is the star and the drinks are just bonuses. The bar has two levels and both are themed around a pirate ship. The drinks follow the theme and so does pretty much everything else. The one downside to Smuggler’s cove is the space, as is the case in many places in San Francisco. You will get up close and personal with strangers, so you will want to arrive early to claim your space aboard the ship.